USA Space Agency NASA launches its Solar Probe today Sunday, 12th August 2018 from Cape Canaveral, Florida. Solar Parker Probe is manufactured by USA Applied Physics Laboratory. Parker Solar Probe is the first ever robotic mission in the history named after a living astrophysicist Eugene Parker dedicated to his remarkable research work in SolarWinds. Parker Solar Probe objectives are to observe and send data from Sun Corona environment. Solar Parker Probe robotic mission will take 7 rounds in coming seven years collecting the data. This is closest ever mission to the Sun till date. Parker Solar Parker Probe is designed to bear 500 times more radiation in the orbit to the Sun. 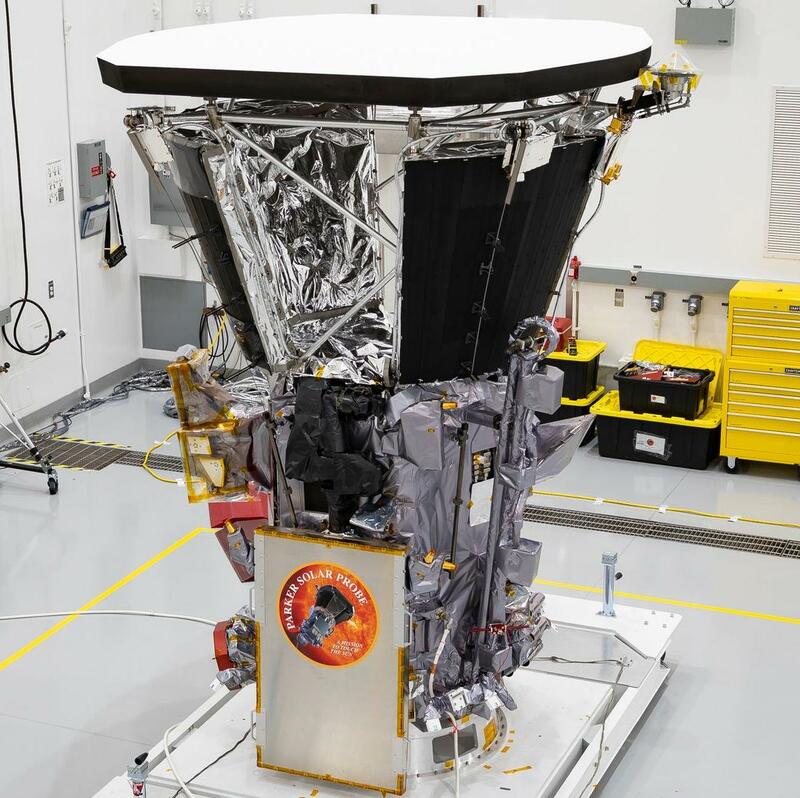 The Solar Parker Probe heat shield is 11.43 cm thick protecting its equipment from Sun radiation. Parker Solar Probe will face around 2500 degree Celsius temperature during its 7 years lifetime. Parker Solar Probe will travel in the orbit around the Sun at a speed of 0.43 Million miles per hour. This is the highest speed of a robotic space mission till date. Its orbit will have 8.86 solar radii the closest distance from the Sun for any man-made object.